Lost Levels :: View topic - Jet Moto for PS1 was originally a motocross game Lost Levels - A website about unreleased video games. 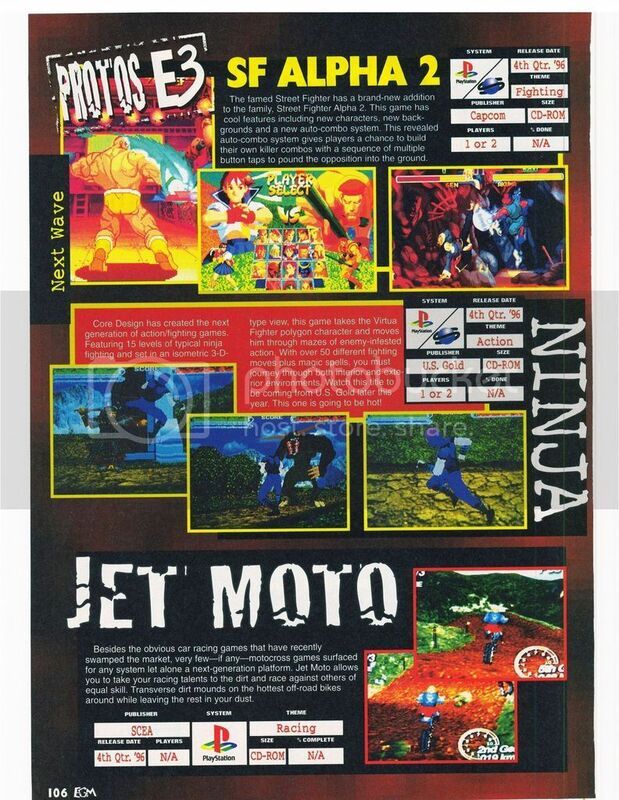 I was going through some EGM's looking for something and I saw a preview of Jet Moto in the June 1996 issue of EGM. I saw a very early Jet Moto that had a totally different track and motorcycles instead of the Jet Moto bikes. I used color correction on the page cause the original scan was bad and you could barely make out the pictures. Think this forum is really dead? This thread currently has 51 views here and 32 views at ASSEMbler forum. I posted them at about the same time too. Edit: Now it's 35 to 111. I'm more interested in those stats than the preview honestly, that's kinda bizarre. 4k views? Is there that many search engine bots?